Specialist wizards may not add spells from opposition schools when they gain a wizard level. 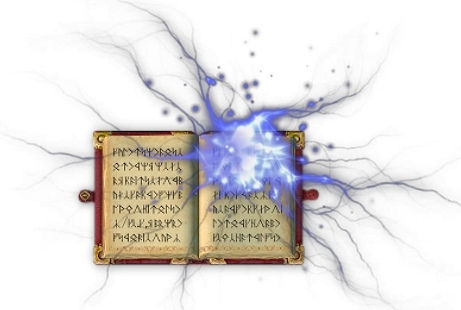 They may however add spells from opposition schools from another spellbook with the standard -5 penalty to their spellcraft roll. Using this spell you awaken an inanimate object on the scale of a thimble, bell, spoon, pebble, or book. The object becomes an animated object which can follow your verbal instructions to the best of its ability. The object has no memory or reasoning ability. It cannot be given contingent commands such as "watch for intruders" or "Ring if the kettle boils". The object cannot fly but can walk, roll, or inch it's way along the ground as appropriate for its composition. The object cannot directly attack creatures but may pose a hazard to creatures in other ways, for instance an animated tack could roll off a table onto a chair seat. Sprouting badger’s claws you gain a burrow speed of 30 feet. This movement, like base movement, may be reduced by armor or encumbrance to 20 feet. If digging through lose material such as sand, pebbles, or mud the hole closes around you as you dig which may require you to hold your breath. You cannot use this spell to dig through any material with a hardness value such as solid stone, wood, metal, or brick. As Badger's Gift, but you may also burrow through stone at a rate of 10 ft per round. Area: a globe of darkness 1 mile/level in radius. Using this spell you conjure an sheet of utter darkness high in the heavens to blot out most of the light from the sun, stars, and moons. The effect mutes terrestrial lights as well. If cast during the day the sun is visible as an angry red orb like a lantern through a sheet of obsidian, this effectively renders the effected area in shadow granting all creatures therein a 20% miss chance. If cast during the night it utterly blots out all celestial illumination and cloaks the affected area in complete darkness. Spells and effects (including natural effects) which create light in the spell's area are greatly muted, the range or radius of such lights is halved. At night, no light can fully pierce the darkness and enough shadow remains to impose a 10% miss chance in combat. A sunburst spell dispels blot sun. By Casting this spell you imbue one weapon or a group of projectiles with the brilliant energy quality for the duration of the spell. Note: Ludimarites often employ a similar spell known as Wraith Weapon. The weapon acquires all the qualities of a brilliant energy weapon yet appears translucent and wispy, it sheds no light. This spell is identical to brilliant weapon but it affects more weapons. You conjure into existence a small mote of energy, which looks like a flickering candle flame floating nearby. The candle ward is a reservoir of divine power that you can use for defense or attack. The candle ward begins with a number of power points equal to your caster level. The candleward spell ends at the begining of your turn after you have used the last power point available. The mote of energy has three modes, you may only make use of one such ward per round which must be declared on your turn (a free action) Each round the candleward must expend at least one power point through use of one of these modes. Fate Shield: On your turn, You may expend up to six power points to give you a commensurate luck bonus to your armor class until the end of your next turn. Spell Shield: Once per round, as a free action you may render yourself immune to a single spell (as per spell immunity) by expeding that spell's level in power points. If the candle ward is in spell shield mode you may declare the spell you wish to be immune from in immediate response to an enemy casting that spell. Your immunity lasts so long as the duration of candleward (without further investment in points). If you chose this mode and no spell is shielded you spend one power point for the round. Candleward can only provide immunity to one spell at a time, if a second spell is shielded you lose immunity to the first. Divine Bolt: You may lash out against a single target within 90 feet, with a beam of divine energy dealing 1d6 points of damage per power point expended. You must succeed at a ranged touch attack, you must make a caster level check to damage targets with spell resistance. Damage from this divine bolt comes directly from divine power and is therefore not subject to being reduced by resistance to energy attacks. By casting this spell you revert a creature to its natural form. This spell may be used to change some creatures of the magical beast or aberration type into a creature of the animal type. For instance an owlbear may be reverted to a bear. Unlike polymorph a reverted creature assumes the full statblock of the natural form, magical effects on the creature persist where permissible, the creature's attitude is unchanged, If the creature's present HP is higher than the reverted forms base HP they use the latter value otherwise the creatures hitpoint total is unaffected. Devolve counters or dispels any spell of equal or lower level of the polymorph school. The DM determines what, if any, the creature's natural form is. Lastly devolve suppresses the bonuses and abilities conferred by all Dargos feats possessed by the target for 24 hours. Upon casting this spell the dagger in your hand becomes translucent changing into an object of pure force. You designate a creature and the dagger will attack it once per round for the duration of the spell with a regular melee attack using your base attack bonus + your Cha modifier or Int modifier (for sorcerers and wizards, respectively). The dagger deals damage as normal with no ability score bonuses. The dagger will always assume a flanking position relative to it's target if possible. The dagger flys at speed 40 and has a +20 fly skill. It is invincible, and cannot be attacked. This spell may affect magic items (though this is rarely desirable) but not artifacts. This spell increases the subject’s fly speed by 30 feet. This adjustment is treated as an enhancement bonus. There is no effect on other modes of movement. Upon casting this spell you grow an extra pair of arms or legs. The kind of limbs grown depends on the kind of six limbed monster you have harvested for your material component, hair from a centuar would permit you to grow extra legs, the scale of a sahuagin mutant or Girallon would grant you extra arms. Extra arms so grown are not terrible coordinated. A creature without the multiweapon fighting feat attempting to attack with more than two arms takes a -6 penalty on attacks made with its primary hand and a -10 penalty on attacks made with its three off hands. (It has one primary hand, and all the others are off hands.) A character may instead use the arms to make attacks with two handed weapons. In such a case the character takes a -2 penalty on attacks. If the character wields a pair of two handed weapons this penalty stacks with any penalties for two weapon fighting normally incurred. Extra legs grown render the character more stable in the face of attacks such as overrun and trip receiving the standard +2 bonus to CMD for extra legs. Characters also receive a special +2 bonus to CMB to overrun and bull rush opponents. Lastly a character recieves a +5 circumstance bonus to Acrobatics checks made to jump or balance. Allies within 30 feet of you who are within one step of your deity's alignment (or your alignment if you do not have a deity) receive a +5 bonus to their base attack bonus when making melee attacks. This bonus will grant an extra reiterative attack to any character making a full attack. The affected allies also receives a +5 divine bonus to melee damage. Haste and similar magical effects that grant extra attacks are suppressed for the duration of this spell. Effects such as flurry of blows may be used with this spell. Under the 3.5 rules the benefit granted by this spell does not stack with the bonus to base attack granted by divine power. Target: One item weighing up to 10 lb. You hold an item in your outstretched palm, upon completing a brief chant the item quivers an inch upward then darts forward at blinding speed. You cause an item in your possession to shoot out at a target or place you specify. The maximum range of the object is 100 ft. + 10 ft./level. You make a ranged attack with the weapon. You may use the spell to launch dangerous items such as weapons, bolts, flasks of alchemist's fire, or tanglefoot bags. A weapon hurled with this spell suffers no penalties for range, nor do you require an appropriate missile weapon such as a bow or crossbow. However if you hurl a weapon that is not a thrown weapon, or a weapon you do not have proficiency in you suffer a -4 penalty to your attack roll. Arrows and bolts are considered simple weapons for the purposes of this spell. As a standard action you may direct the dagger to attack a new target. If the designated target has spell resistance you must roll to penetrate the resistance upon the daggers first attack. If the target resists the spell ends, otherwise the target is viable for the remainder of the spell's durration. Once the spell is complete the dagger evaporates. The target creature immediately rages, as per its regular rage special ability, rounds spend in this incited rage do not count against the creature’s ordinary rage limit. You summon forth a rift in the earth to the para-elemental plane of magma. from this rift lava bursts outward covering nearby foes. Affected characters take 15d6 points of damage (10d6 fire, 5d6 bludgeoning), characters who fail their save are slowed for 1d3 rounds as the hardening rock hampers their movement before it becomes brittle and flakes away. During this time they recieve additional 5d6 points of fire damage per round. The subject's recently severed body members (fingers, toes, hands, feet, arms, legs, tails, or even heads of multi-headed creatures), broken bones, and reattach, the severed members must be present and touching the creature. Your spellsong awakens deadly primal aspects within even local vegetation such as grasses, bushes, trees, and similar foliage sprouts barbed branches similar to those of a thorn bush. The affected area is treated as difficult terrain, causing creatures to move at half speed. The DC of acrobatics and Stealth checks increases by 2 and all creatures within the thicket receive concealment. Creatures also take 1 point of piercing damage per square moved through the thicket. Creatures with effects such as freedom of movement or woodland stride may ignore the movement penalties and damage inflicted by this spell. Targets: Line then 5' radius burst. Duration: 1 round; see text. Upon casting this spell the caster exhales a cloud of semi-corporeal minute butterfly like creatures which travel in a line toward the target point. anyone along this line must make a fort save or be dazzled for one round. The swarm occupies the 5' radius sphere at the end of the line for 1 round before vanishing. During this round it obscures line of sight just like a smaller fog cloud spell. More dangerously any within the sphere creature within the burst who fails their save contracts a variety of glimmerwing poison. This poison deals 1d4 points of ability score damage per round for 4 rounds. If the caster doesn't specify the poison affects the creature's highest ability score. Poisoned creatures may make a fort save each round, prior to taking damage, to negate the damage and end the affliction. By casting spell cluster you emulate the effects of three spells of 4th level or lower one time. These spell effects may be any spell you can ordinarily cast by virtue of class levels (including effective class levels for monsters that cast spells as if a member of a defined class). This does not include spells granted by magic items or spell-like abilities.Spell cluster requires any and all components required of the emulated spells, thus if any spell emulated has a verbal component spell cluster does also. You have in hand all material components required by each emulated spell. You lose spells prepared or spell slots exactly as though you had actually cast the spells that you emulate. The spells you emulate cannot be dispeled unless spell cluster is dispelled in which case all emulated spells are also dispelled. Spells cast through spell Cluster are cast as though they were personal range spells. The duration of Spell cluster is equal to the shortest duration of any emulated spell, when this duration expires all three spell effects in the spell cluster are automatically ended. This spell functions exactly like the fly spell but the subject sprouts a pair of wings of the kind used for a material component. If the spell expires or is dispelled the wings slowly recede allowing the target to float downward as per the fly spell. You transmute the wooden striking surface of a wooden weapon such that it grows exceedingly sharp magical thorns. The weapon deals both bludgeoning and piercing damage. It gains a +1 enhancement bonus to melee attack rolls. The weapon also receives a +1 enhancement bonus per two caster levels on melee damage rolls (maximum +10). This spell does not enhance weapons which inflict damage through materials other than wood, thus an arrow or a wood hafted steel mace would not benefit from this spell. Target: One willing creature no more than one size larger than yo. You pronounce a string of arcane syllables and assume the posture of your nearby companion. The two of you switch places in the blink of an eye, this movement does not provoke attacks of opportunity (although casting the spell itself will) Objects carried by either creature are brought with them. Creatures arrive in exactly the same posture and position, if the subject creature was in a position that would be difficult to recover from upon arriving at the caster's location (eg. swimming subject, walking caster) they must make a DC 15 acrobatics's check or fall prone. Using this spell, the Zeomancer flashes augmentation magic across a target causing mainly cosmetic changes on the target. To work out exactly what changes affect the target roll on the table below, if the same feature is rolled more than once, the abilities stack and if contradictory results come up apply each in turn but the last one rolled will remain for the duration. At the end of the duration, the target is returned to normal. If the target ceases to be living, then duration of the spell freezes effectively rendering this spell permanent, however, if the target ever becomes living again, then the duration starts again. A creature with the shape-changer subtype can revert to its natural form as a standard action. Target’s skin erupts in painful boils and sores. Target’s features appear ugly and rough. Target’s skin becomes furry (or furrier). Target’s least favourite physical features worsens. Target’s eye colour changes dramatically. Target’s hair colour changes dramatically. Target’s hair doubles in length. All of target’s hair all falls out. Target’s least favourite physical features improves. Target appears as member of another race, feral and brutal. Target appears as member of another race, calm and agile. Target’s prime racial feature gets accentuated. Target gains supernatural features, i.e. horns. Target’s features become comely and loses all blemishes. Target grows by 25% without changing size category. Zeomancer’s Choice plus roll two times. Using this spell, the Zeomancer flashes augmentation magic across a target causing a physical shift designed to hinder or help the target. To work out exactly what changes affect the target roll on the table below, if the same feature is rolled more than once, the abilities stack and if contradictory results come up apply each in turn but the last one rolled will remain for the duration. The Zeomancer decides whether the effect is designed positive and negative and that determines whether the bonus or the detriment is used. The bonuses and detriments are of the augmentation type and only stack if they occur from the same casting of this spell. At the end of the duration, the target is returned to normal. If the target ceases to be living, then duration of the spell freezes effectively rendering this spell permanent, however, if the target ever becomes living again, then the duration starts again. A creature with the shape-changer subtype can revert to its natural form as a standard action. This spell can also be used to cast Zeomantic Surge, Lesser with a range of Close (25ft +5ft/2 levels) and a duration of 1 hour/level. Reroll two times changing to Positive/Negative. Target’s natural weapons increase/decrease one step. Target’s size increases/decreases to large/tiny. Target gains/loses additional movement type. Target gains/loses additional breath option. Target gains/loses additional sense option. Target’s natural armour changes +1/-1. Zeomancer’s Choice plus reroll two times. Using this spell, the Zeomancer flashes augmentation magic across a target causing a physical shift designed to hinder or help the target. To work out exactly what changes affect the target, roll on the Zeomantic Surge table. Negative effects are permanent and Positive effects have a duration of 1 hour/level; At the end of the duration, the target is returned to normal. If the target ceases to be living, then duration of the spell freezes effectively rendering this spell permanent, however, if the target ever becomes living again, then the duration starts again. A creature with the shape-changer subtype can revert to its natural form as a standard action. Using this spell, the Zeomancer imbues all of their attacks, melee and ranged, with a Zeomantic Surge effect. Every attack which would deal damage, for the duration, also causes a Zeomantic Surge, Lesser effect to affect the target exactly as if that spell had been cast on them. All saving throws for these spells are based on their spell level, not the level of the spell they are being used to emulate. The Create Water spell either fills a receptacle or creates a small localized downpour (5ft by 5 ft area). It cannot be used to spontaneously create an unbounded area of water in three-dimensional space. Reflex saving throws to avoid the said downpour are permissible. Upon the casting of this spell, noise in the area is suppressed. All creatures in the area recieve a Will save and spell resistance. If they fail, or forgo their save, they are unable to speak, cast spells with verbal components, or create any kind of noise while in the spell area. Even for creatures who succeed at their save conversation is nearly impossible unless they take a move action to yell at the top of their lungs. Perception checks pertaining to sounds issued from, passing though, or coming into the area suffer a -20 penalty. The spell can be cast on a point in space, but the effect is stationary unless cast on a mobile object. The spell can be centered on a creature, and the effect then radiates from the creature and moves as it moves. If the creature is unwilling and makes its Will save it completely negates the spell, similarly spell resistance of the target creature may negate the spell. Items in a creature's possession or magic items that emit sound receive the benefits of saves and spell resistance, but unattended objects and points in space do not. Creatures in an area of a silence spell are immune language-based attacks, spells, and effects and receive sonic resistance 30. Creatures with sonic blindsight in the area are treated as having blindsense only and can't use the ability to percieve creatures who fail or forgo their save., the spell negates ordinary sonic blindsense. Upon the casting of this spell, complete silence prevails in the affected area. All sound is stopped: Conversation is impossible, spells with verbal components cannot be cast, and no noise whatsoever issues from, enters, or passes through the area. The spell can be cast on a point in space, but the effect is stationary unless cast on a mobile object. The spell can be centered on a creature, and the effect then radiates from the creature and moves as it moves. An unwilling creature can attempt a Will save to negate the spell and can use spell resistance, if any. Items in a creature's possession or magic items that emit sound receive the benefits of saves and spell resistance, but unattended objects and points in space do not. Creatures in an area of a utter silence spell are immune to sonic or language-based attacks, spells, and effects. The spell negates sonic blindsight and blindsense. Mage's Disjunction This spell is utterly unable to affect major artifacts. Polymorph/Shapechange spells Unless a monster has been encountered firsthand by a polymorphing character, the character must know of the creature through study. All such uses of polymorph or similar spells are restricted to monsters from the core Monster Manual 3.5 (other monsters may not actually exist in the campaign world). Additionally, the caster must have a Knowledge skill relevant to the creature, equal to or exceeding that creature’s hit dice. Thus, a wizard with a +12 to Knowledge (arcana) (including ranks and Intelligence bonuses, etc.) is knowledgeable enough to assume the form of a 12 hit dice dragon so long as he would normally be capable of doing so under the relevant spell rules. In doing so, he is taking ten on his Knowledge check to be knowledgeable about the monster. Any form can be assumed if the character has seen the creature firsthand, so long as it obeys normal spellcasting rules. This includes forms not covered in the core MM and forms for which the Knowledge skill of the character is inadequate. Cone of Cold and similar cold spells do not instantly freeze water in the area of effect. This is an effect reserved for Otiluke's freezing sphere, a 6th level spell. Knock while providing a highly effective means of bypassing locks, is, as its name suggests, not a very stealthy spell. The spell creates a loud banging sound equal in intensity to a battle cry. The perception check DC to hear this spell effect is -10, thus the sound is clearly audible over a hundred feet away or through a stone wall. Modifying the spell with the silent spell effect does not diminish this side effect, although it would allow the spell to be cast in a region of magical silence. Invisibility does not grant any bonus to stealth checks, however invisible creatures enjoy total concealment which permits the use of stealth even when in line of sight. The character must still use stealth checks to avoid detection by other means (primarily sound). If the invisible creature is stationary they recieve a +20 bonus to stealth checks to avoid detection. Note: Any creature with the scent ability automatically leans the existence and general direction of an invisible living creature. Irresistible Dance The target of this spell may speak normally and may make a will save each round to make a standard action or move action. If the target employs this action to move they dance half their speed in a random direction. Characters with ranks in Perform (dance) may make a skill check in place of a will save and may choose a direction if they opt to move. Fabricate requires the following additional material component and Component: Diamond dust equal in value of the labor undertaken to create an item (typically twice the amount as the raw materials). Focus: Masterwork Artisan’s tools appropriate to the item to be created. Make Whole and Mending These spells cannot not repair items that have been rotted or rusted away, warped, burned, disintegrated, ground to powder, melted, or vaporized. A make whole spell cannot repair mundane items which have been destroyed (eg. a shattered vase) but may repair and restore the enchantment of a destroyed magic item (eg shattered +1 sword). Wall of Stone The stone created by this spell is not magical but becomes unstable after 1 day per level. If the caster uses an optional component of 125 gp of any kind of rock gem, (powdered or solid) the wall is as durable as ordinary stone masonry.